We are offering Cold Chisel to our client. We take pleasure to introduce ourselves as one of the renowned firms for providing the best-in-class range of Cold Chisels. Being a prominent organization, we are instrumental in providing our valued clients with a wide assortment of Cold Chisel. Forged from carbon steel, heat treated. 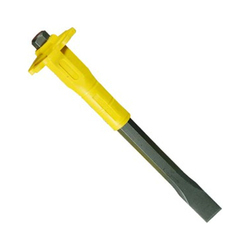 Being an eminent organization in the industry, we are involved in providing a premium quality range of Cold Chisel Tool. A cold chisel is a tool made of tempered steel used for cutting cold metals. Cold chisels are used to remove waste metal when a very smooth finish is not required or when the work cannot be done easily with other tools, such as a hacksaw, file, bench shears or power tools. - Made from High Carbon Steel EN-8. 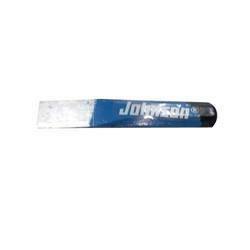 Being a prominent firm in this domain, we are engaged in offering a distinguished assortment of Cold Chisels.